The best of both worlds! This original owner home sits on a beautifully landscaped full acre lot with tranquil countryside views. Recent updates include interior paint and carpet. The Family Room features hardwoods, crown, brick fireplace and wall of windows overlooking the huge backyard. The Kitchen offers lots of cabinets, smooth-top range, walk-in pantry and sunny Breakfast Nook. The secluded Master Suite boasts a luxurious bath with dual sinks, garden tub, separate shower and 2 walk-in closets. Other amenities: Formal Dining, split bedrooms, study niche, built-ins, covered patio, sprinkler system, gutters and alarm. 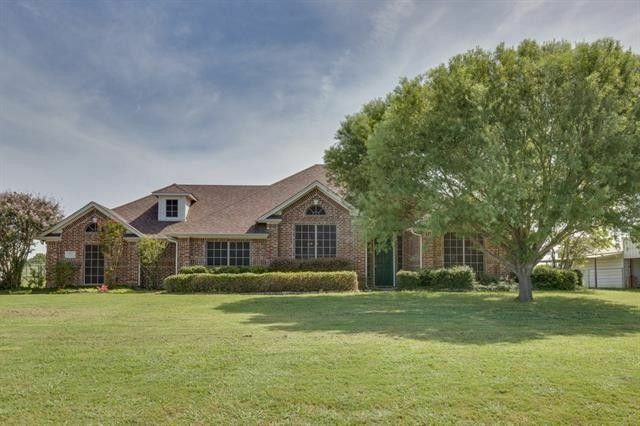 Conveniently located minutes from shopping, restaurants, schools, Hwy-80, FM-548 and I-20. Directions: From Hwy 80: South on FM-548, Stay Left onto FM-1641, Left on Helms Trail, Left on Plantation Ridge, Home on Right.